So what happens if your child is injured at the hands of another in New Orleans, should you consult the best child injury lawyer? The first step is to contact a lawyer. Generally, an emancipated minor cannot file a lawsuit on their own behalf. This is because the courts believe that children have a lack of capacity or understanding of the law so therefore they cannot sue on their own. Instead, the state of Louisiana allows the father of the child to be the party that brings forth the lawsuit, this is if the parents are not divorced or separated. 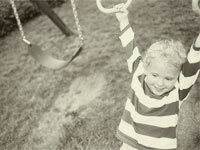 The preeminent Louisiana child injury attorneys know the laws in Louisiana and how to use them. A legal representative may be appointed by a court, if the child has no parent or guardian. Injuries to children are all too common nowadays. The Center for Disease Control, issued a report in 2008, stating that about twenty children pass away every day from some sort of sustained injury and over nine million children are recieve emergency medical care a year for injuries that are considered to be nonfatal. Such injuries included but are not limited to: slips and falls, burns, traffic accidents, poisoning, drownings, animal bites and even suffocation. Most of these injuries are unintentional however just like most illnesses, they are highly preventable. This is why the law allows us to bring lawsuits forward and recover money when we are injured. Children can get injured at any time and any at place, a common place where children get injured is the land of another this is because they were attracted to the land by some sort of unusual land condition or object. Let’s face it children do not always stay on their parent’s property and sometimes wander onto the property of another. Typically, landowners have no duty to protect trespassers from sustaining injures on their land, however there is a special duty that landowners owe to children. This arises under the attractive nuisance doctrine and landowners are expected to take reasonable care to safeguard children from dangerous land conditions or objects on their property. Even though the child has trespassed the law assumes that they were unaware of the dangers that certain land conditions or objects pose so the landowner is liable if the child is injured and they did not take precautions to prevent such injuries. Examples of situations that fall under this doctrine include: ungated pools, large open holes in the ground, and abandoned cars. Of course there are other situations that will fall into this doctrine and they are looked at in a case by case basis dependent on the child’s age and maturity level. If a child in injured they are entitled to certain types of compensations called damages, these are meant to put the child back in the position they were before the injury occurred. The type of damages that are recoverable to a child in a personal injury action differ somewhat than those available to an adult. Economic damages are damages that are meant to compensate a victim of a sustained injury for money they may have lost due to an injury. The economic damages that a child can recover include: past and future medical expenses, loss of wages if they are employed, diminished future earnings, and any property damages that are related to the injury at issue. Non-economic damages are a form of additional compensations that are calculated on a case by case basis and highly depend on the type of injury sustained. The type of non-economic damages that are recoverable for a child are: pain and suffering, emotional distress, mental anguish, and loss of enjoyment of life. Punitive damages are also recoverable for children, these types of damages are meant to punish and deter future behavior by the defendant and others. These are rewarded under limited circumstances. A child in Louisiana is also entitled to recovery of damages under the bystander effect. This is when an individual witnesses an accident or arrives upon the scene of the accident soon after it has happened. This is only recoverable if there is a close family relationship between the child and the victim of the accident such as one’s parents, grandparents, or siblings. In the unfortunate and heartbreaking event of the death of a child caused by the actions of another, there is a right to a claim a wrongful death action. This action can be brought by the surviving parents of the child, the surviving siblings if there is no surviving parents, and even the surviving grandparents if there are no surviving parents or siblings. In such an action, the economic damages that are recoverable are: property damages if applicable; medical expenses that may have been incurred in trying to save the child’s life; and funeral expenses. Non-economic damages that are recoverable are: pain and suffering of the surviving party; emotional distress of the surviving party; and mental anguish of the surviving party. Punitive damages are also recoverable in a wrongful death action. A surviving party can also recover for damages under the bystander affect. All claims for wrongful death must be brought within a year of the child’s passing.